MiniTool Partition Wizard Technician Edition 7.8 As a partition magic alternative, MiniTool Partition Wizard is a magic partition software optimized for business environment with advanced features such as Merge Partition, Convert Dynamic disk to Basic disk and Change cluster size. Business users and system administrators can use our magic partition manager to Resize Partition, Move Partition, Merge Partition, Change Cluster Size, Copy Partition, Copy Disk, Create, Delete and Format partitions, Convert and Explore partitions, Hide and Unhide partitions, Convert Dynamic Disk to Basic Disk and much more. Our partition magic software supports Windows 2000, XP, Vista, Windows 7 and 8. 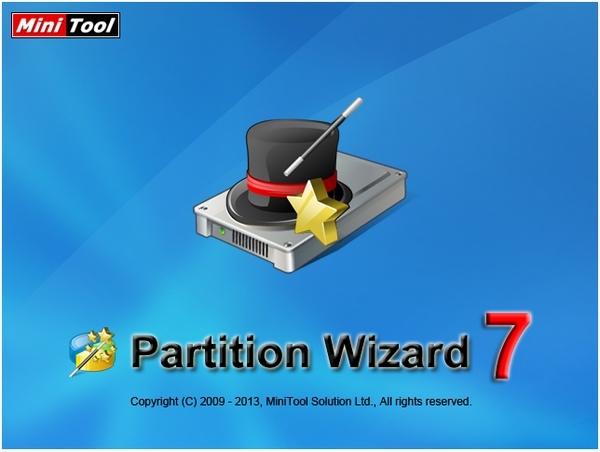 And MiniTool Partition Wizard Professional Edition could be used in business environment. MiniTool Partition Wizard Server Edition is a server partition manager specially designed for Windows Server 2000/2003/2008/2012. Our partition manager server edition is designed for system administrators and advanced users to manage both server and non-server disk partitions. MiniTool Partition Wizard Server Edition manages Windows servers quickly and safely. When you use the "Move/Resize Partition" function, the Enhanced Data Protecting technology keeps your data safe even in cases of power outages or hardware failure. Change cluster size without data loss. NEW! Support Linux Ext2, Ext3. NEW!